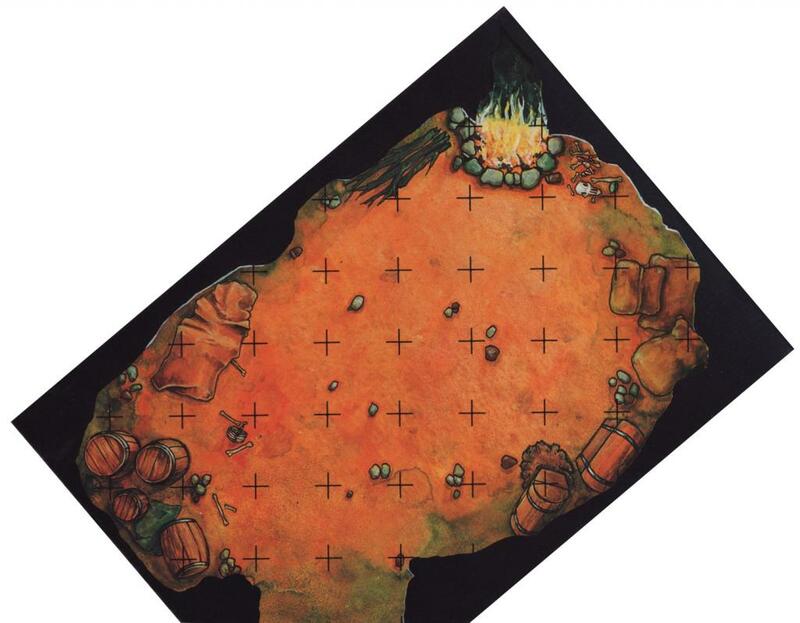 In this HUGE tiles set, you'll find no less than 20 A3 format tiles sheets full of corridors, rooms, sets of staires and junction, fully compatible with your Advanced Heroquest or Heroquest Game. 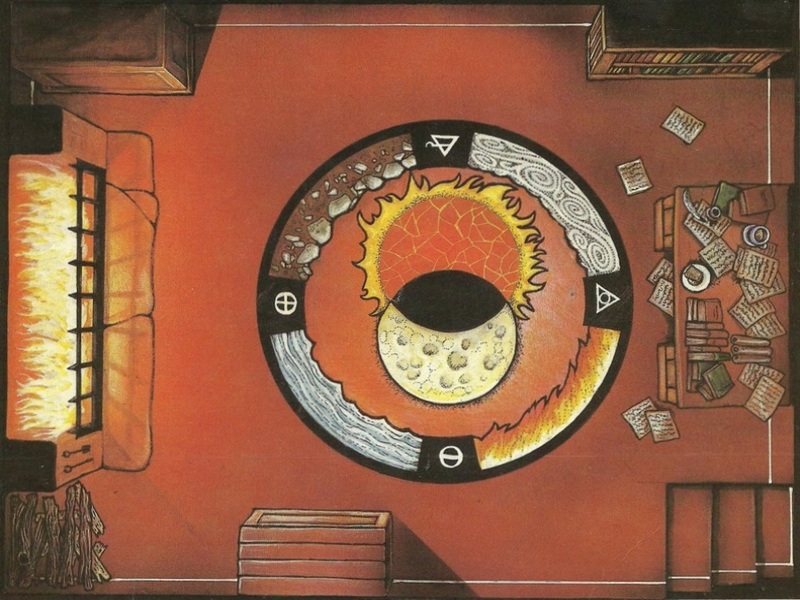 And here is a new temple of Chaos, in fact a sacrificial chamber. 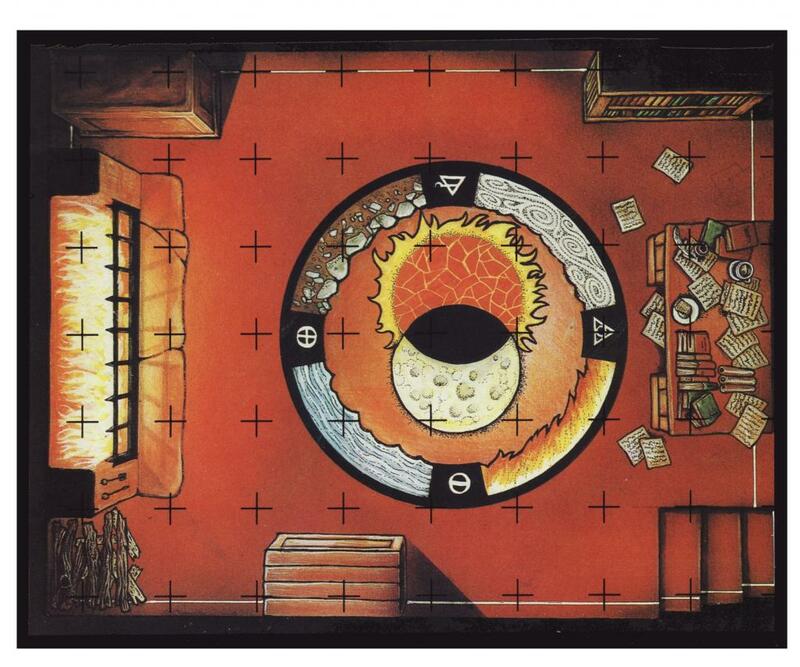 Here is new small room with a same design as one of the original room from Advanced Heroquest. 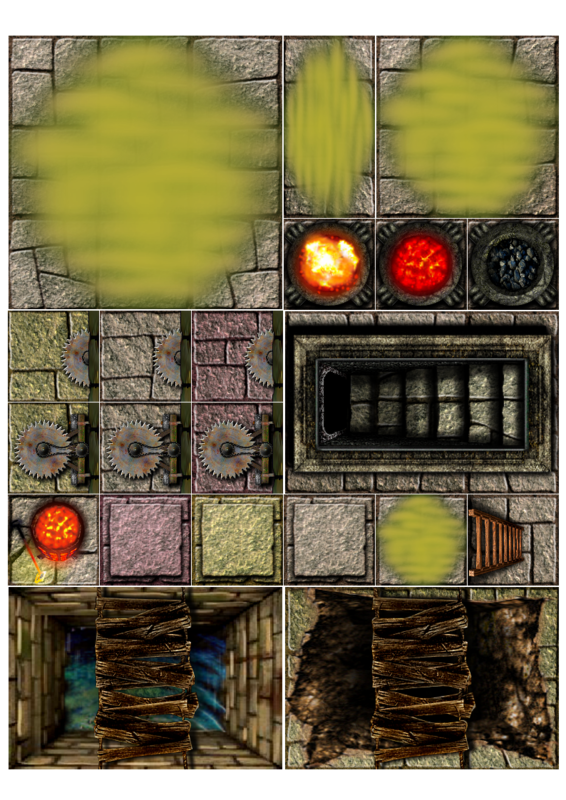 Here is a "remake" of an old tiles from the Dungeon Floor Plans of Games Workshop. 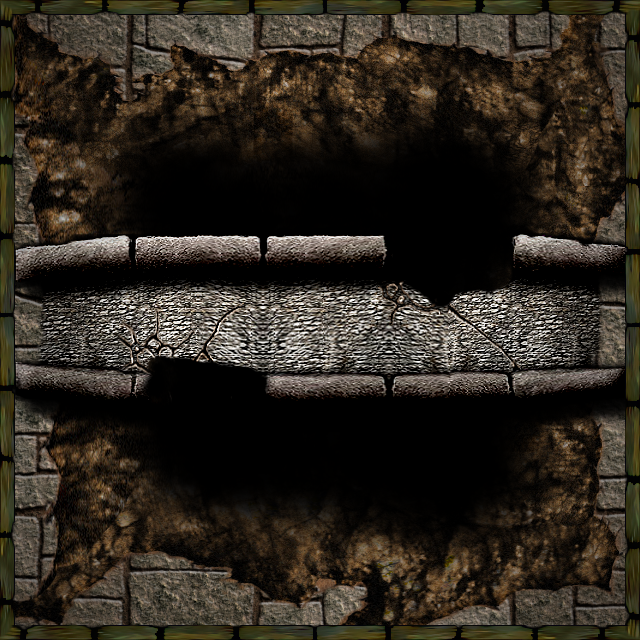 This tile was used later in the Advanced Heroquest expansion "Terror in the Dark" and in "Mighty Warriors", another board fantasy game. 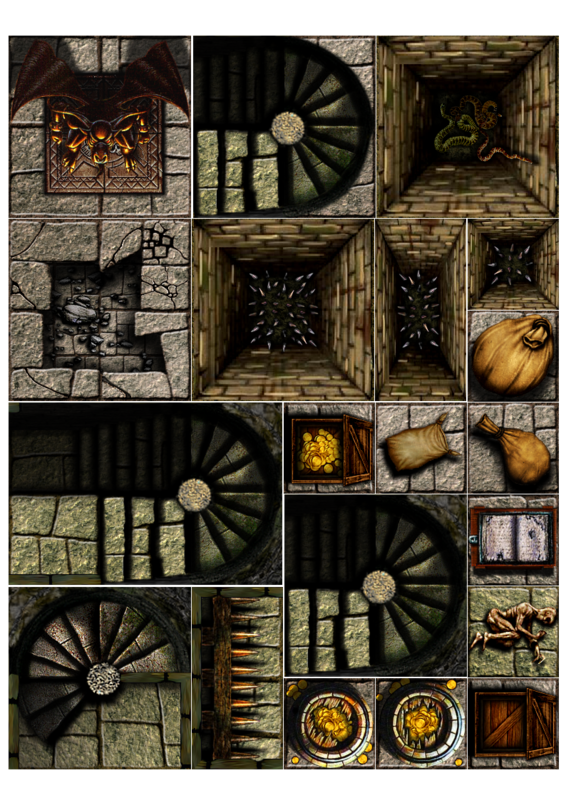 I share here the old and the new version of this tile. Hope you like it ! 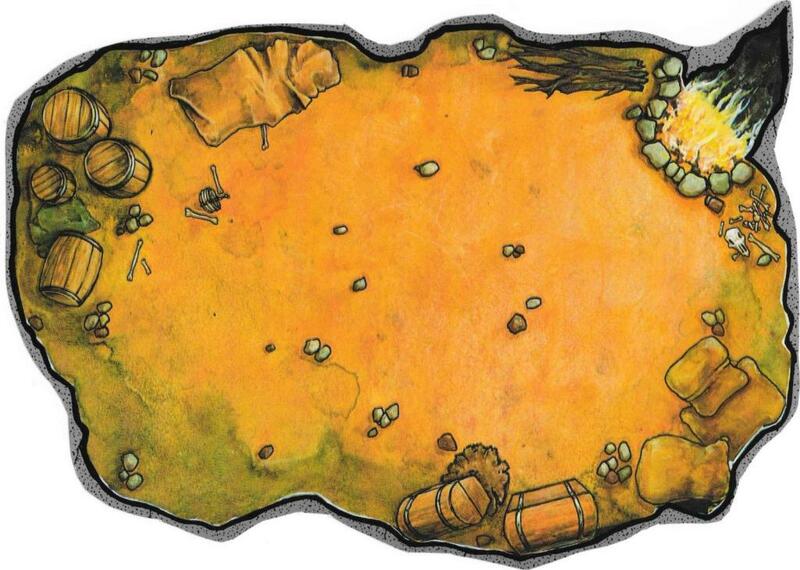 And two dungeon sheets, with sewer duct and bridges, spiked walls traps and so on. 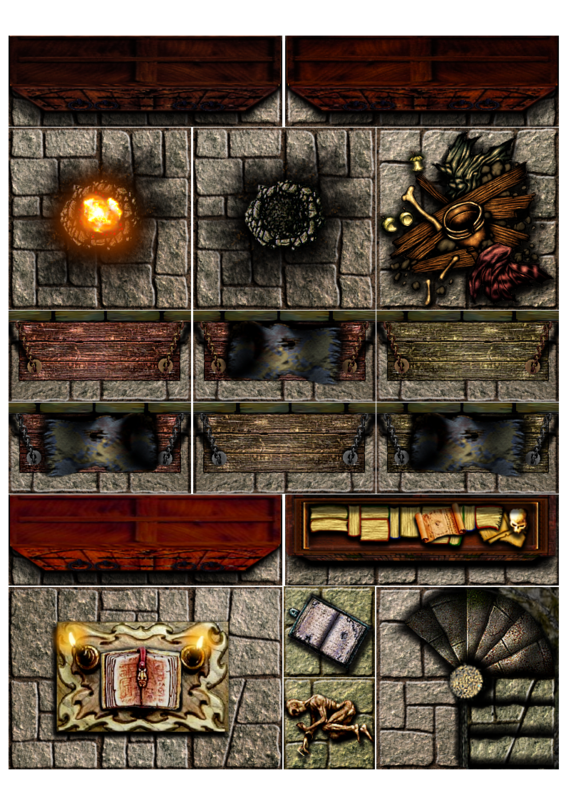 Here is one more dungeon dressing sheet. 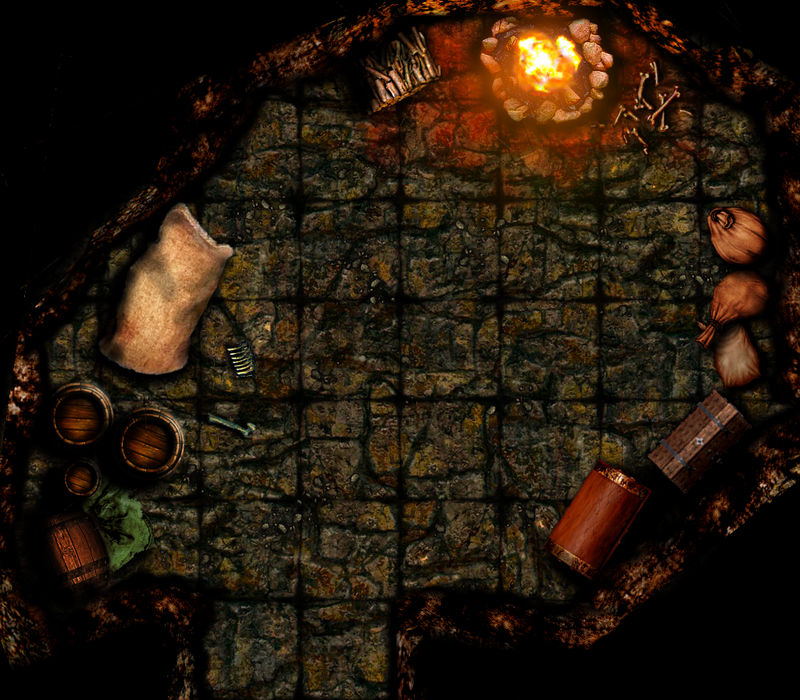 Again, a new sheet of counters and elements. 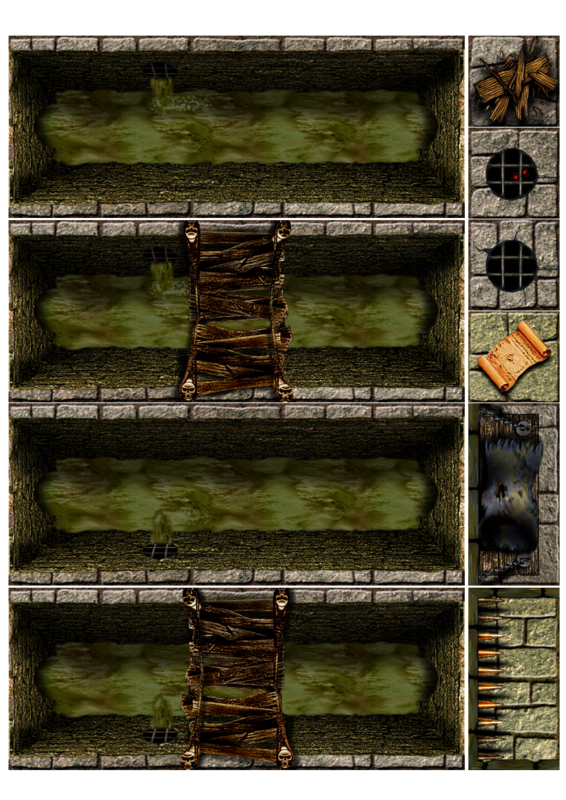 You'll find Braziers, Spining blades traps, choke traps, a secret set of stairs hidden in a sarcophagus, some trap-trigger squares, a ladder to upper level and pits with rope bridges. 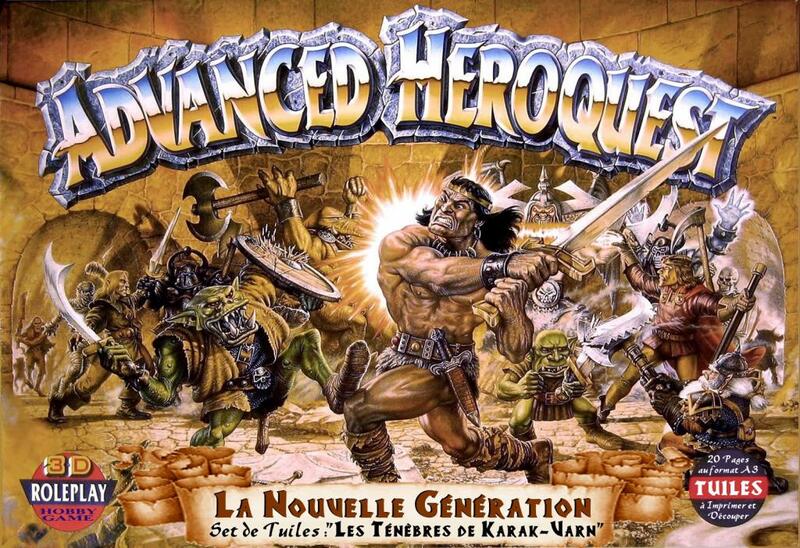 My new booklet of Dungeon Dressing is about to be finished. 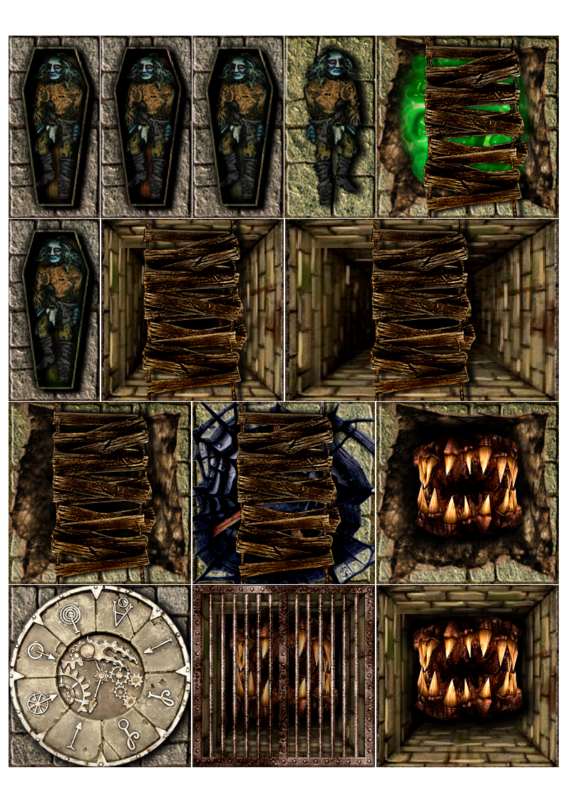 Here is a new sheet with four new coffins with corpses and a dead adventurer, three tests of a horrible touthy mouth in a pit. 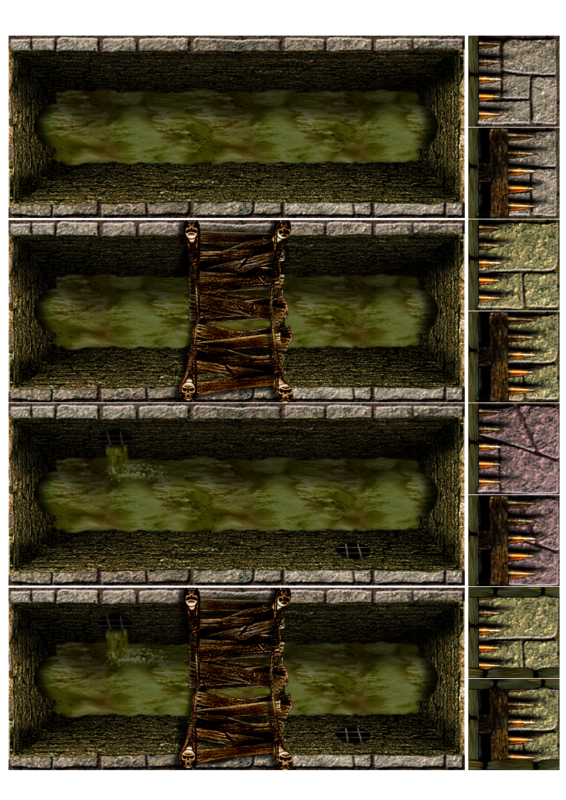 It can be a trap, or the final danger of a quest, for example a sacrificial pit. As you wish. 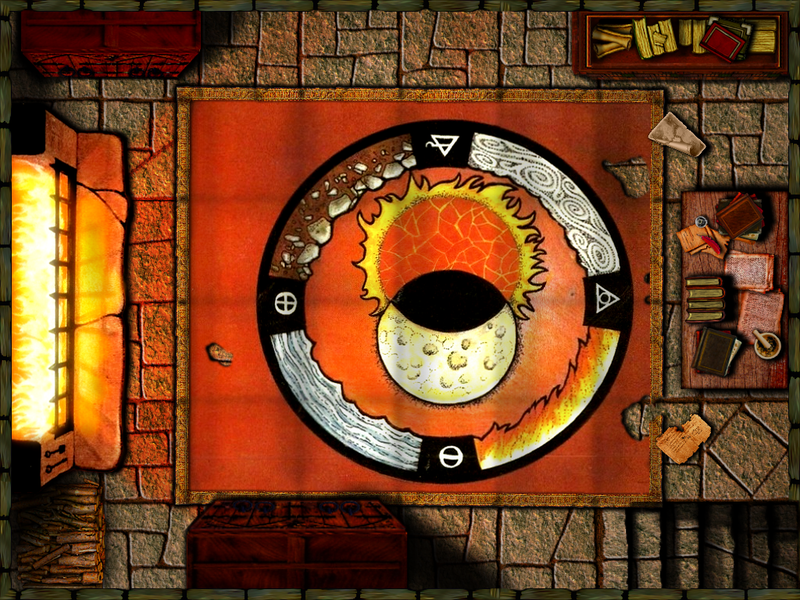 A mecanic puzzle is following, figuring the wheel of the Eight Winds of Magic, and various pits with wood and rope bridges. 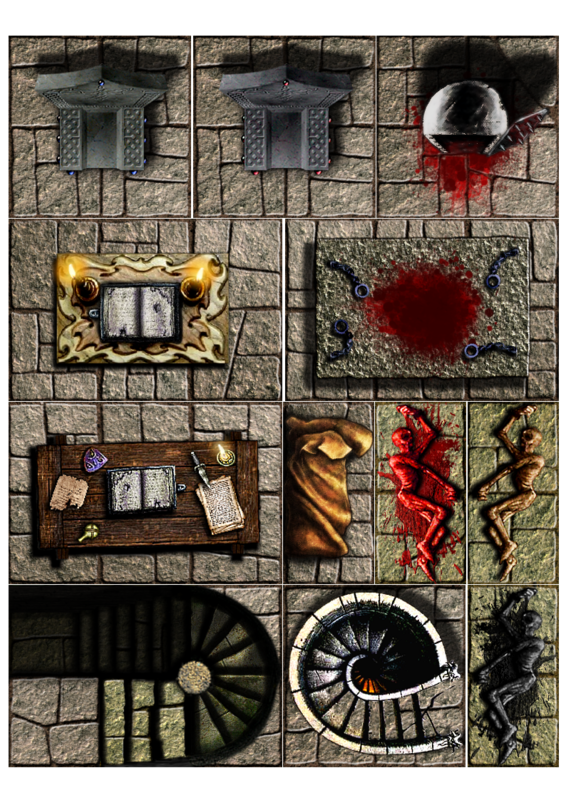 Herre you'll find the second PDF booklet with no less than 13 sheets full of tiles in A3 format. 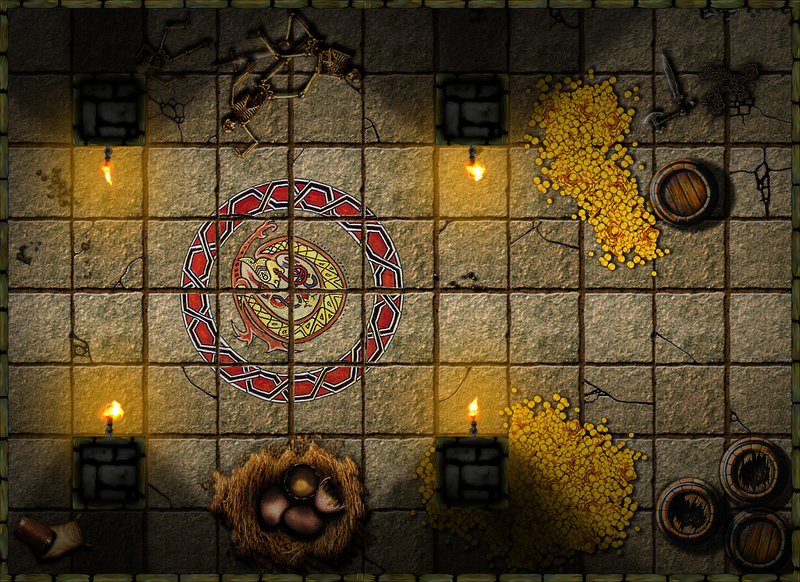 Here is another remake : the Wizard Study. Hope you like it ! !